Much to my surprise, my vegetable garden ended up doing pretty well. We ended up harvesting 15-20 cucumbers and our peppers are finally starting to come up! I can't tell you how happy it makes me to walk out our back door and grab a vegetable to put in my lunch or cook dinner with. This makes Floyd ecstatic as well. He nibbled on a few leaves here and there but really never bothered the garden. Until, last weekend when apparently he was ready to up his cucumber intake. 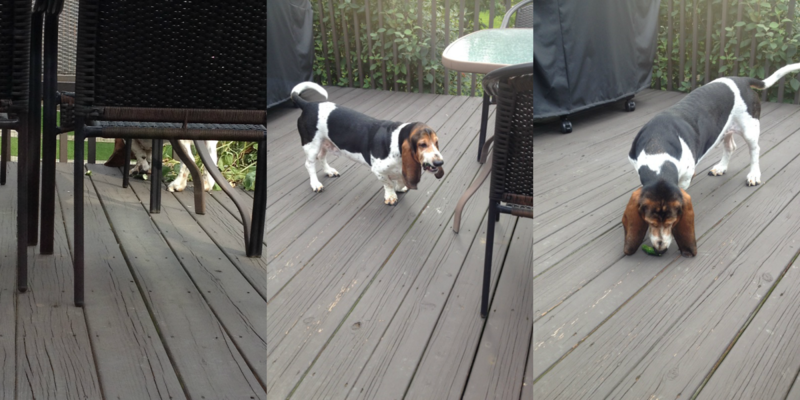 Mister caught this series of shots of ol sneaky pants stealing whatever he wanted. 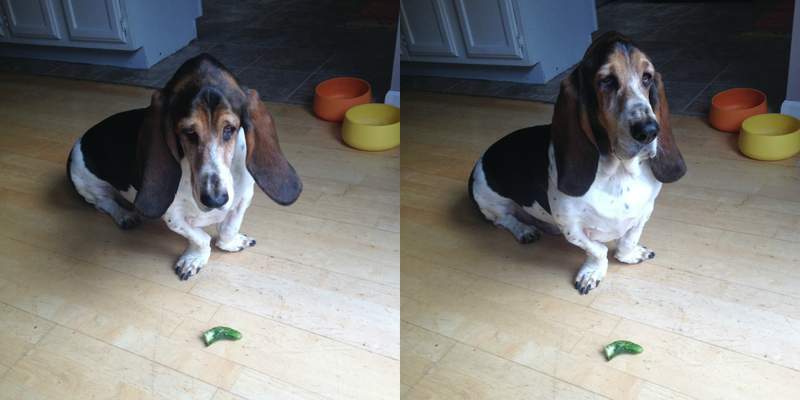 And now we can add cucumbers to the list of things that Floyd has stolen. Rhis really needs some salt...please pass da shaker. That Floyd! He is a basset ninja! We have a problem with rabbits! They eat everything! I'm impressed with your cucumber count! We have a jalapeno plant growing, but I am not sure if it will actually produce any peppers. He is hilarious! "Stop taking my picture. Yeah I did it." hilarious! fred eats blueberries right off of the bush in our backyard.